The misty mountains of the Western Ghats hide in their lairs countless secrets, still waiting to be unearthed. These mountains are home to hundreds of endemic species, each of them incredibly beautiful and awe inspiring with their ways. There is something so enigmatic, so magnetic about these mountains they have drawn naturalists, animal enthusiasts, explorers to their folds since time immemorial. Yet we know precious little about this diverse and intricate eco-system. All the elements of nature, all the creatures of nature have successfully conspired to web this almost surreal environment which carefully, almost with motherly affection has preserved this delicate eco-system in its laps. The thrill of uncovering a new surprise every step of the way, the chill in the moisture laden air, the joy of observing some of the most remarkable species of nature in their utmost glory and above everything else the temptation of exploring more of this vast and unique wilderness cast a hypnotic spell on nature lovers and almost draw them into this wild realm. For Bhavya Joshi, a civil engineer from Rajkot in Gujarat, this was one such call too difficult to resist. 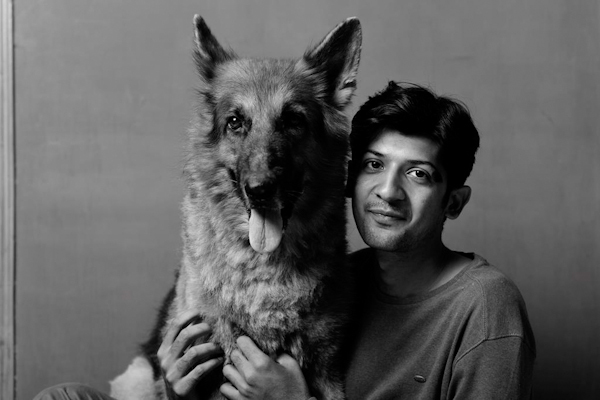 His passion and addiction towards wildlife and the natural world from a very tender age meant he was that much more susceptible to fall prey to this hypnotic charm of the wilderness of the Western Ghats. As it has been the case with many others the wilderness lured him into coming down to Agumbe, a sleepy little village approximately 100 km from Mangalore in Karnataka. This small village nestled in the mountains of the Western Ghats is surrounded by this vast wilderness and can be a delight to any nature lover as Mr Joshi found out during his stay over there. His love for the wild took him on a quest to observe some of the most fascinating creatures on the planet which are endemic to these mountains. 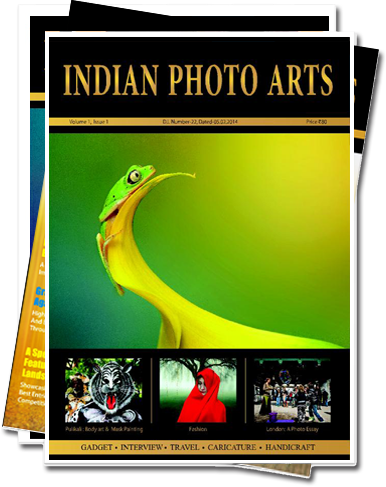 He encountered many of them, he documented their behaviour and in this album he has shared with us some of those wonderful encounters which he had with the wild Western Ghats. Nature almost never disappoints anyone who shows true respect towards it, same was the case with Mr Joshi. 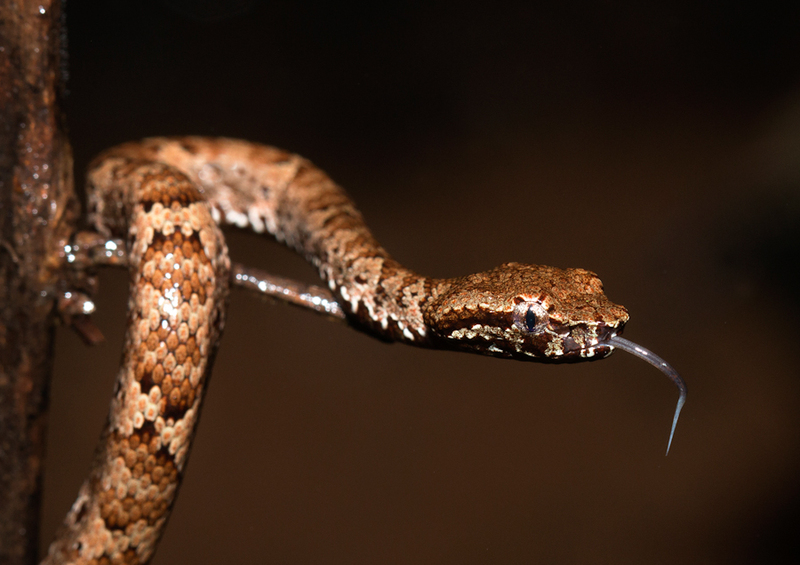 The forests of Western Ghats rewarded his relentless quest for understanding nature and its creatures by unveiling some of its incredibly unique aspects to him. Here in this album we have chronicled some of Bhavya Joshi’s memorable moments from his journey through these misty mountains during which he came even closer to realizing the amazing beauty that lies hidden in the most unsuspecting corners of the natural world. 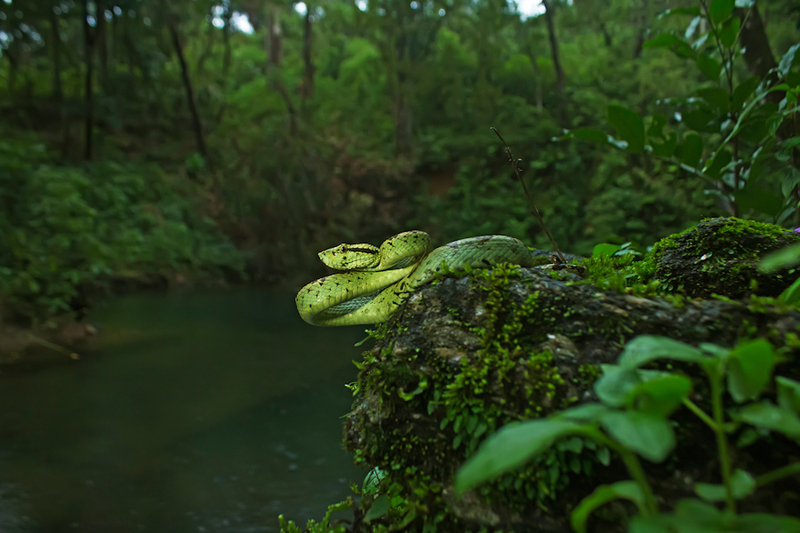 The Malabar Pit Viper, endemic to these mountains is an ambush hunter and patiently waits for its prey to venture within its reaches before striking. The significantly large heat sensitive pits at the top of their heads allow these excellent hunters to form a thermal image of their surroundings, as a result of which they can track down their preys with surgical precision even in pitch darkness. 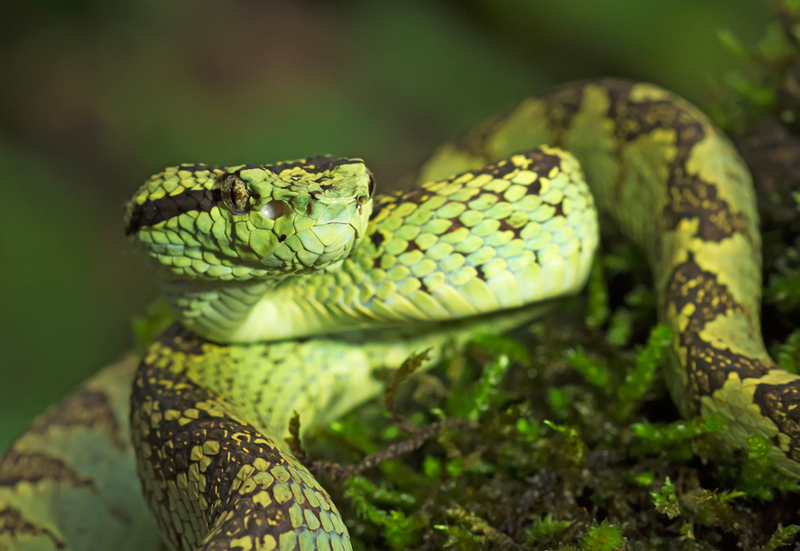 The Malabar Pit Viper is indeed a colourful snake, this species displays various morphs. This individual sports a brown morph. 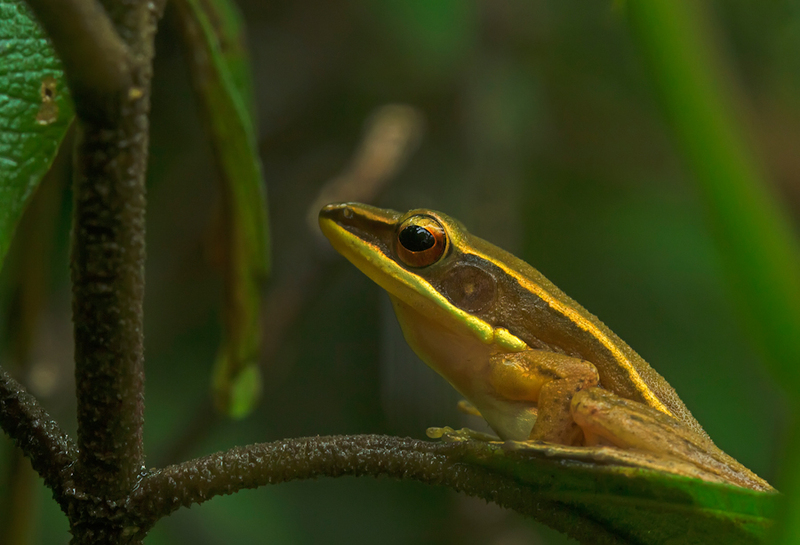 The Indian Golden Backed Frog yet another endemic species to these mountains is a perfect example of nature’s unmatched artistry which is abundant even in its smallest of creatures. 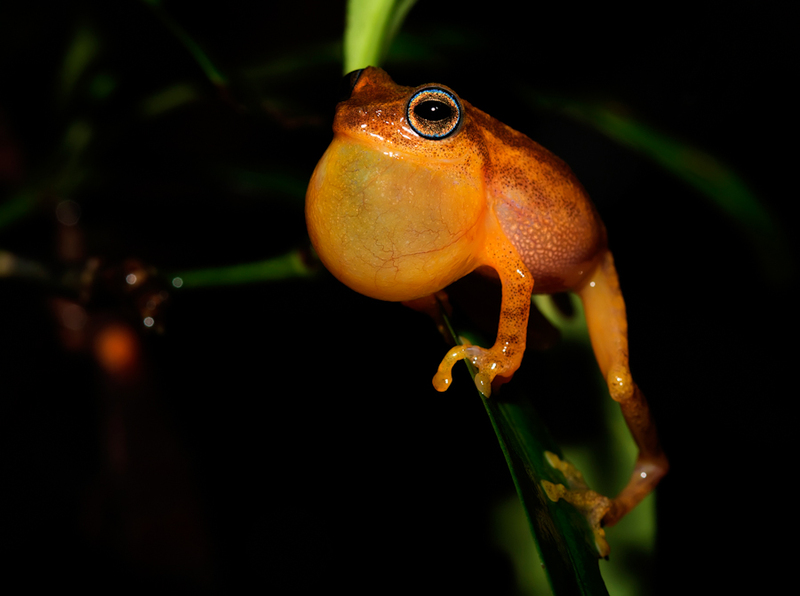 The huge variety of endemic species makes the Western Ghats such a diverse biological hotspot, the Coorg Yellow Bush Frog being one of them. Quite a vocal species this male calls out possibly to garner the attention of a nearby female. 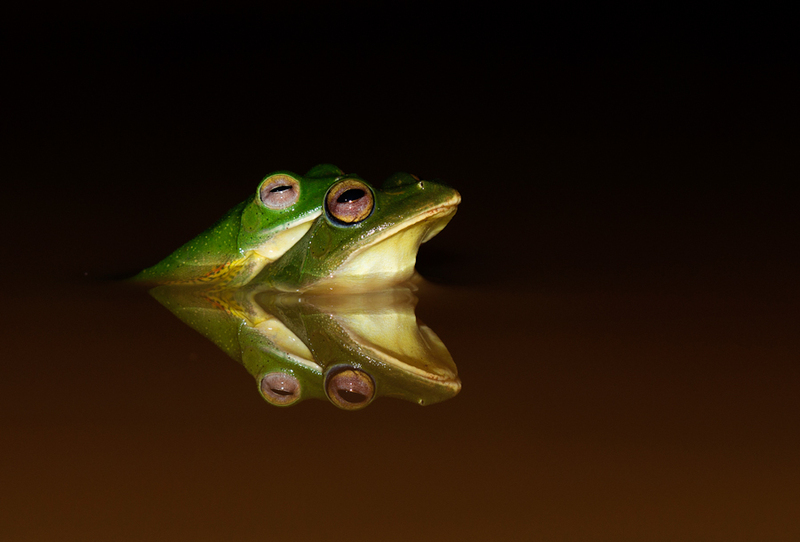 A mating pair of the endemic Malabar Gliding Frog. The webbings in their feet which extend up to the discs of each toe give them the much needed leverage in the air while gliding distances up to 10 meters or even more in thin air. 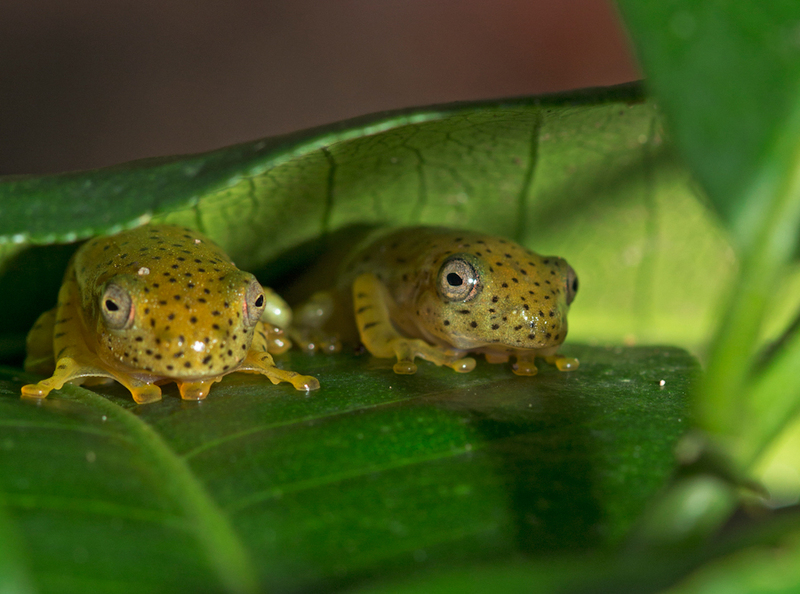 Tiny froglets of Malabar Gliding Frogs take refuge under the covers of leaves to escape predators. 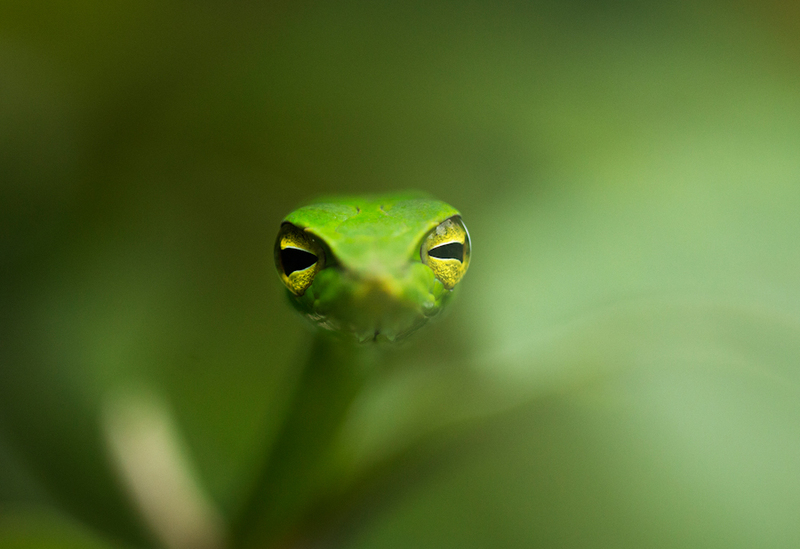 One of the best camouflages in the natural world, the Green Vine Snake superbly blends with its surroundings resembling a tendril or a vine. 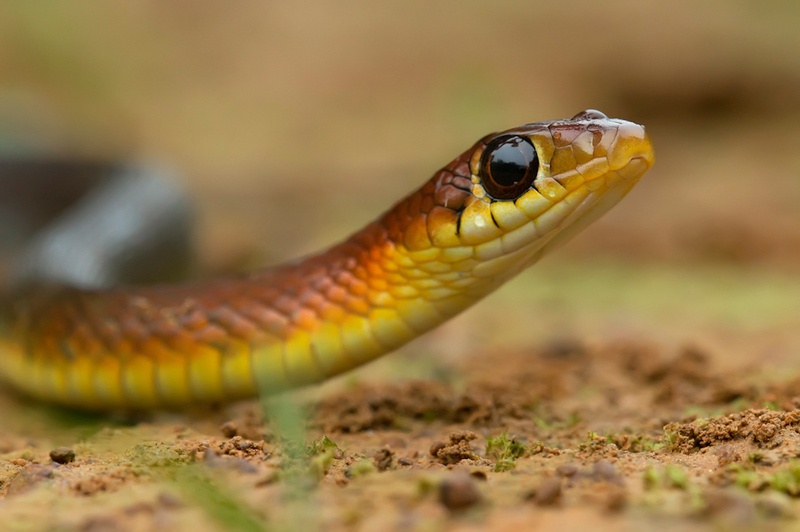 The Hill Keelback, also known as Wayanad Keelback is one among the many species endemic to the misty mountains of Western Ghats. 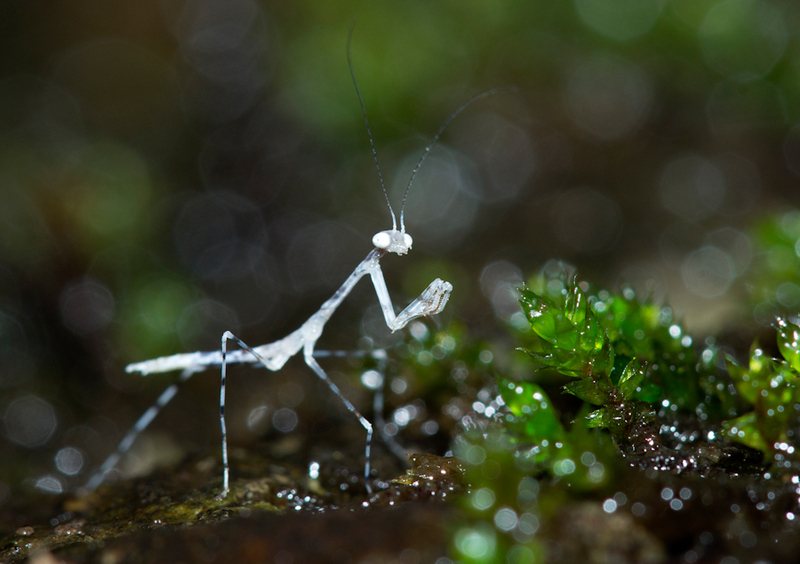 Young Praying Mantis moult several time before they reach adulthood. After moulting they appear almost transparent white, which lasts for a brief period before they regain their usual green coloration. The rainforest floor springs up beautiful surprises like this one to every naturalist.